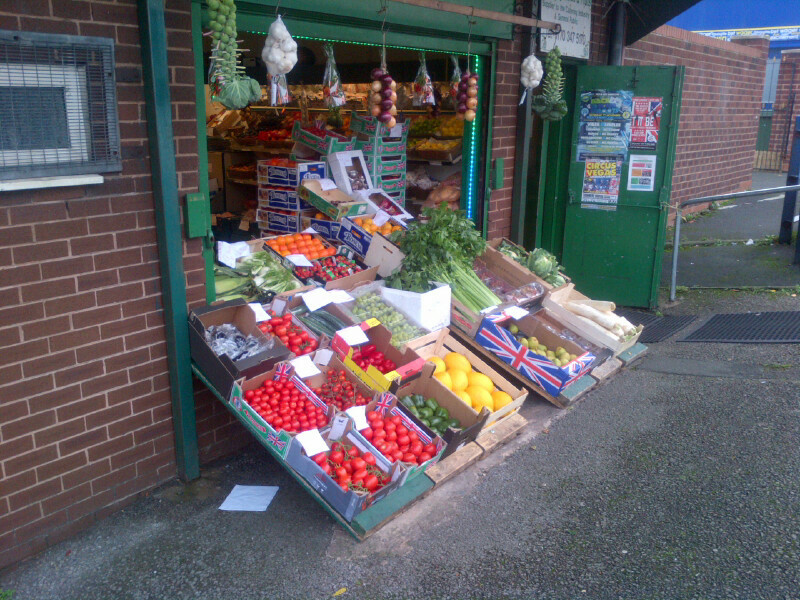 Yesterday at the grocers I saw that Kazim had taken out the window at the front allowing the shop to spill out onto the pavement facing Oxton Road and then back inside the shop the colours crossing over from one side to the other. Kazim told me his plans for next Saturday. He has a friend, a welder, and he had made him a stand out of metal to roast chestnuts on. Kazim is going to set it up outside the shop in the middle near from where the window had been taken out. He wasn’t hoping to make any money but he thought it would be a good way to bring people into the shop and to make the area more interesting. We discussed if there were any recipes for cooking roast chestnuts beyond heating them up in a pan with holes over hot charcoal. He had heard that the French have a way of letting them stew in red wine and then splitting them before they went on to roast. We agreed that it would be best to keep it simple. So if you are near Birkenhead next weekend you should go along for a bag of roast chestnuts. I am sure they will be good. This morning, Sunday, the world has been shrouded in fog. It has soaked up whatever sound there is and all is quiet apart from the tapping of keyboards. The trees are yellowing and shedding their leaves and it feels like the first proper day of autumn. Maybe we will light a fire this evening. In the meantime is has been a good morning for eating bacon, drinking coffee and thinking about The Unthanks.